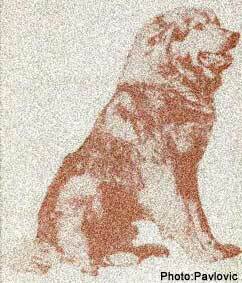 Sarplaninci are the national dogs of Jugoslavia and Macedonia. The greatest number of dogs are to be found on the Sar Planina altiplano, from which the name is derived as it means "The Mountaineer of the Sara" prononce : "Sarplaninatz". The breed is indigenous to this mountain range and has kept its caracteristica through centuries, thanks to isolation, to extensiv sheep-breeding and the existence of big beasts of prey. 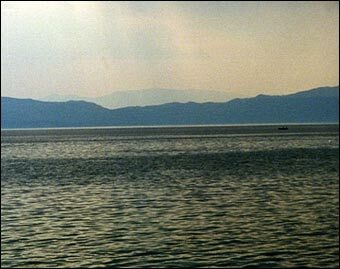 Sarplaninci ancestors were brought to this remote part of the Balkans in prehistoric times, most probably through general migrations as balkanic tribes expanded toward Asia, and asiatic people migrated towards the Mediteranean Sea, through exodus or following trade routes. This most ancient breed stems from the ancestor of the Tibetan hound Dog, Assyrian war dogs added to its blood line as Epiros Molossi and native dogs from the Balkans. The breed war first acknowledged by the FCI in 1939 standard n° 41 under the name "Illyrian Shepherd" In 1957, the name was changed into "Jugoslovenski ovcarski pas-sarplaninac". The last standard n°41 a, by Pr Pavlovic, was acknowleged by the FCI in 1969. 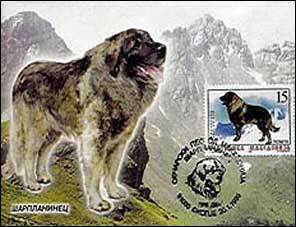 In 1994, the FCI modified the breed nomenclature and from group I the breed was registred in group II, section, "Mountain dogs" under the denomination "Sarplaninac".